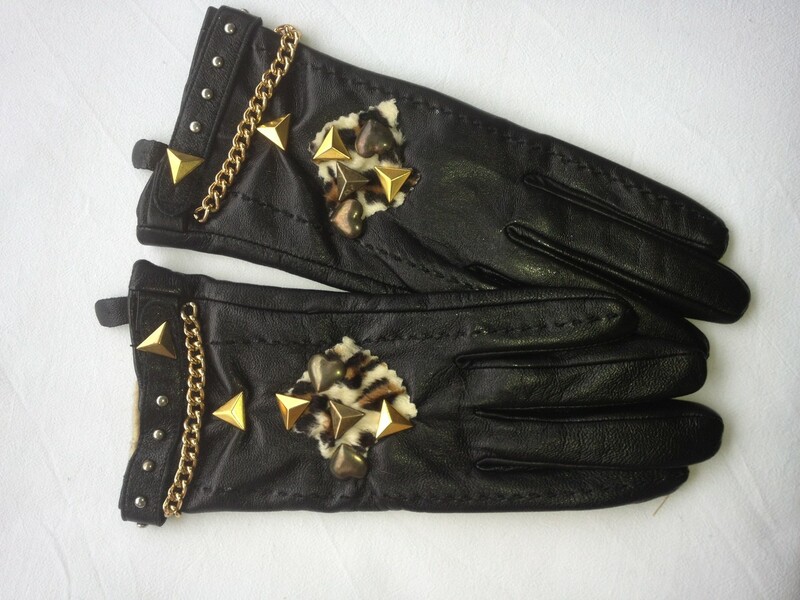 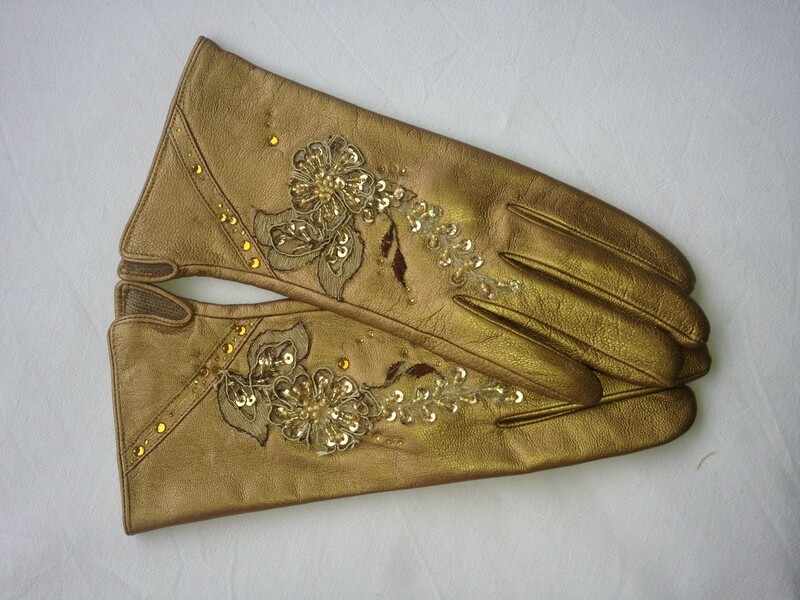 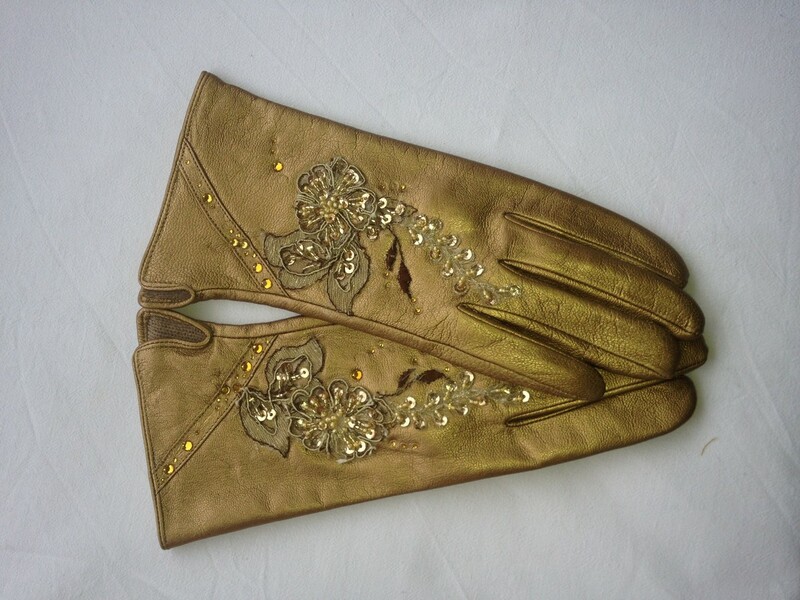 leather gloves gold with golden beadworks. 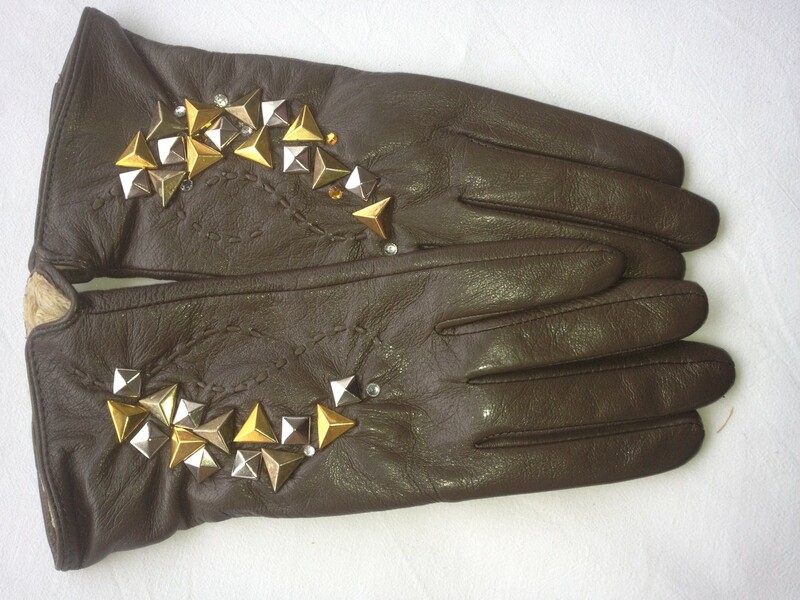 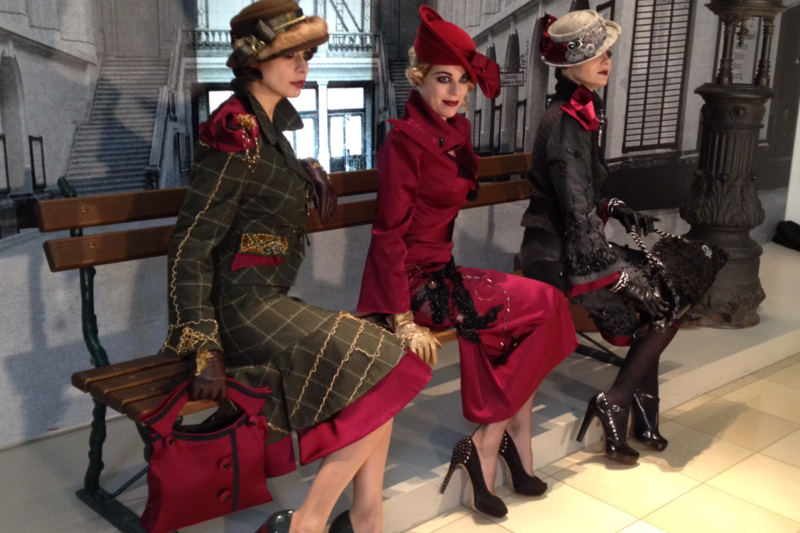 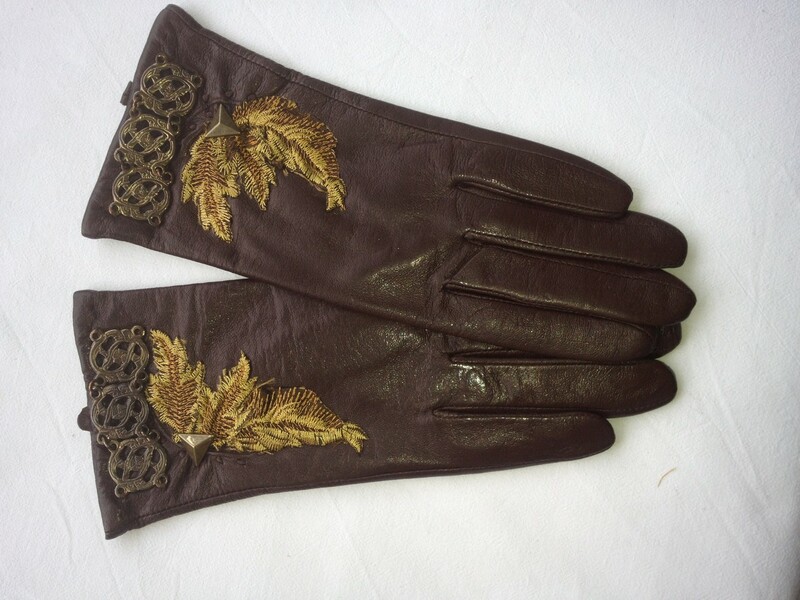 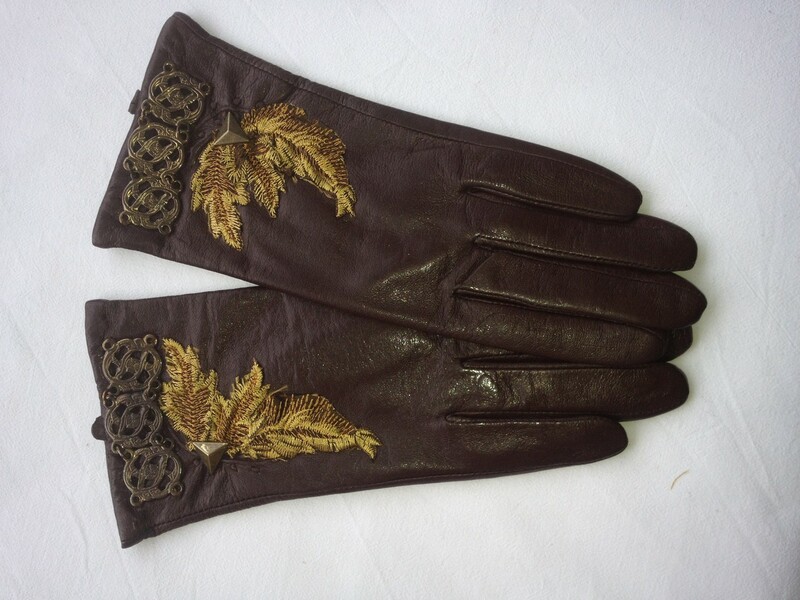 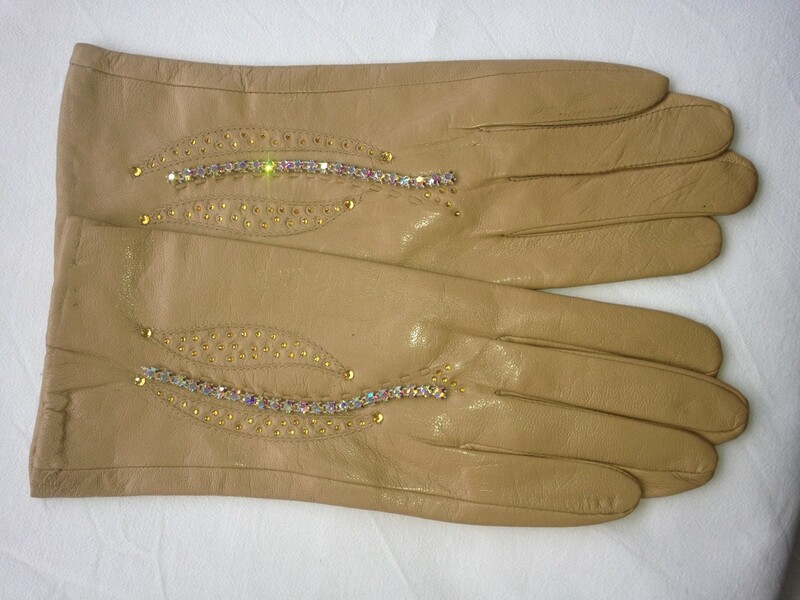 brown leather gloves with embroidering and jewellery design. 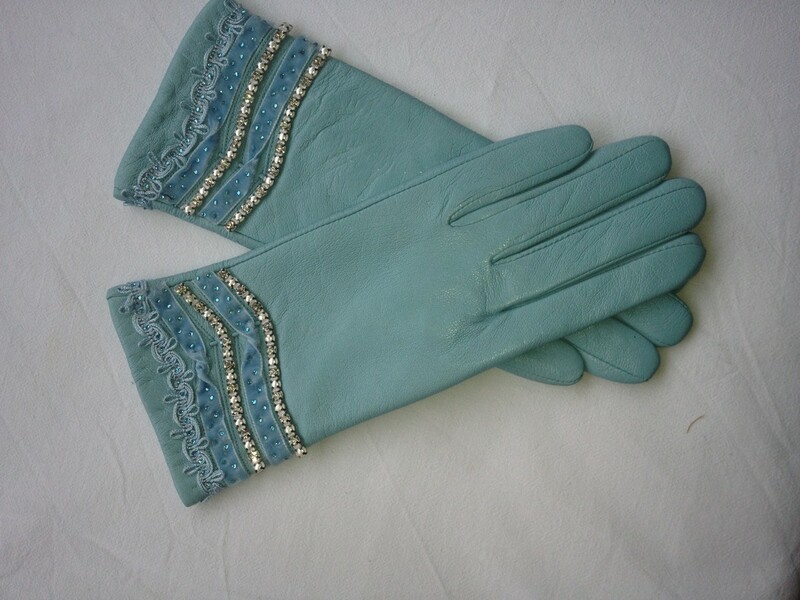 light blue leather gloves decorated with pearls and swarovski stones and a velvet rubbon. 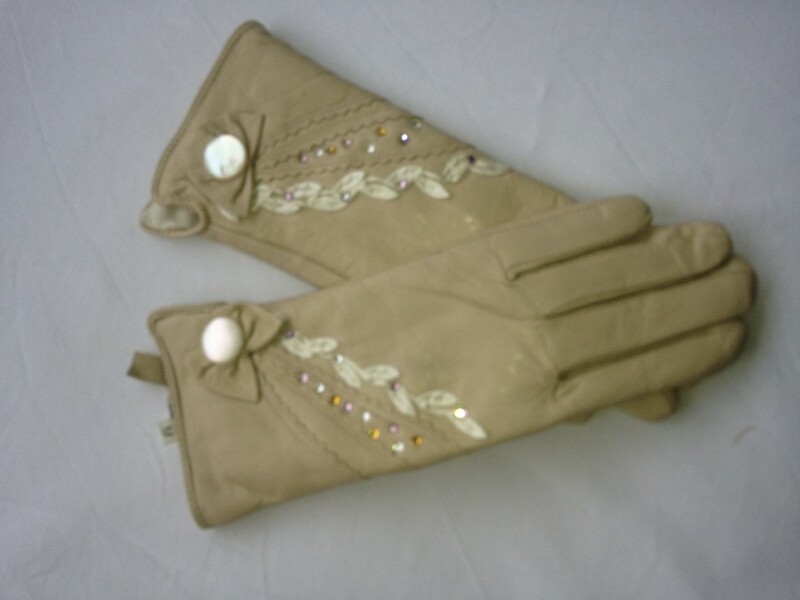 beige leather glives decorated with Swarovski stones.